LINCOLN — First an obscure Nebraska beetle, now a famous national bird. 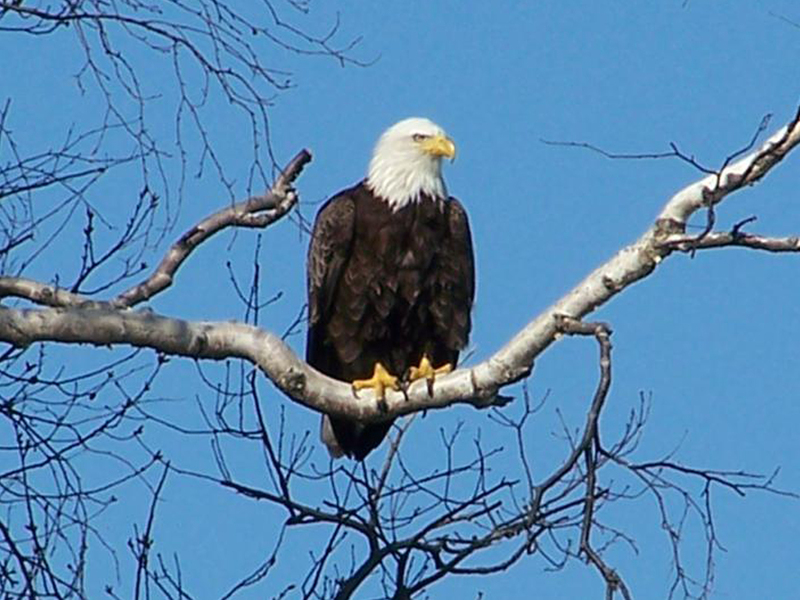 The American bald eagle poses the latest potential complication for a proposed crude oil pipeline through the state. Bob Allpress, who lives on a ranch near the South Dakota border, has been watching bald eagles along the Keya Paha River for at least 10 years. When he realized a legally protected bald eagle nest was in the pipeline’s route, he said he notified state environmental officials. But Allpress said his concerns were never acknowledged, so he recently contacted a federal wildlife agency. Federal wildlife biologists and officials with the company proposing to build the pipeline said avoiding the eagles will require relatively minor construction adjustments rather than another reroute. But the apparent lack of attention to the nest by the Nebraska Department of Environmental Quality in a recent review of the proposed pipeline route makes Allpress and others wonder whether anything else was missed. “This report is seriously flawed and needs to be revised,” he said. Mike Linder, the department’s executive director, said that though the report does not specifically address the Boyd County nest, it does state that the company must not kill or disturb protected species during the construction and operation of the pipeline.